This year at Waipapakauri Sports Complex we have a Pool Team who was founded by Ruth Taitimu. Sponsored by: Geards Funeral Home in Kaitaia. 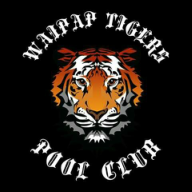 This year for 2015 we are proud to announce Waipap Tigers 2 team. Pool kicks off on the 31st of March 2015. Wish both our Tigers teams the very best throughout the season.